Instead of spending the weekend as I intended (cleaning, doing laundry, quilting, and sleeping), I spent the weekend starting a new project. I started making hexies. 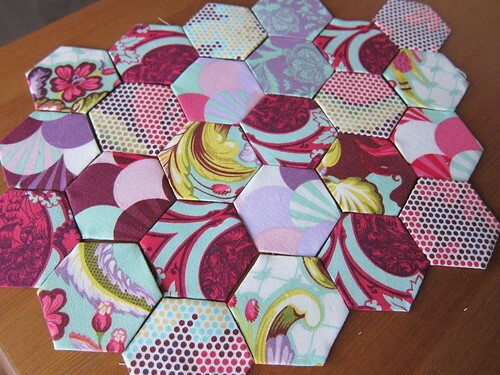 It's been awhile, but you may remember what happens when I start making hexies. It started off with me just wanting to make a few, just to try it out and see how I liked the templates. 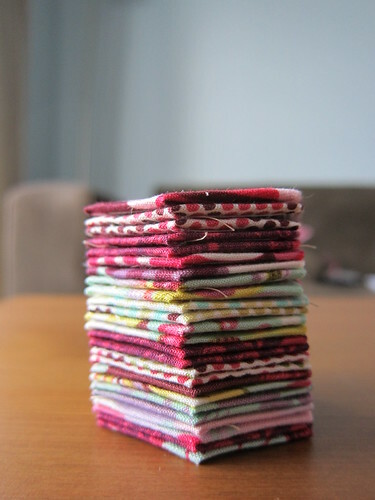 This quickly progressed to me wanting enough of them to make a cute little stack while I watched a movie. 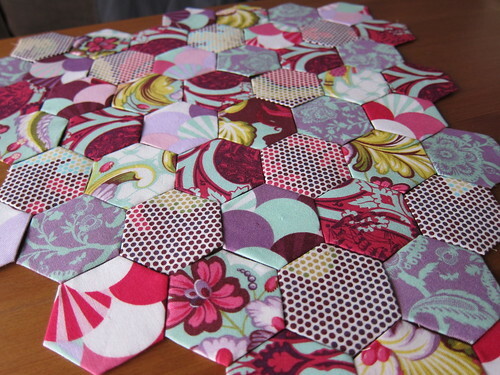 This turned into me wanting to have enough hexies to get a sense of what they might look like sewn together. Another movie later, I had almost half of my coffee table covered and a good part of my day gone. Fifty little hexies in all. Half of what my Tula Pink kit will produce. Still not sure what these are going to turn into but for now, I'm perfectly happy making them, stacking them, and admiring them over and over again.